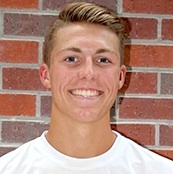 Olathe East High School senior Griffin Stone was named to the 2016 National Soccer Coaches Association of America Fall High School Boys All-America Team. The awards program recognizes the best high school soccer players in the nation. He has been invited to attend the annual NSCAA All-America Luncheon in Los Angeles in January.